Ronnie O'Sullivan has received a formal warning from World Snooker after failing to fulfil media obligations at the World Championship in Sheffield. He refused to speak to reporters after his first-round win over David Gilbert. 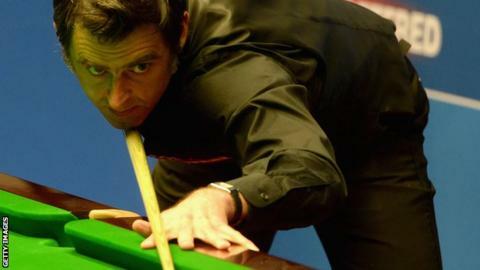 World Snooker says any further breaches by the five-time champion will result in a fine and possible further action by the World Professional Billiards and Snooker Association. He faces fellow Englishman Barry Hawkins or China's Zhang Anda next.